Candra has over 20 years in leadership roles in marketing and branding including at Highway One, a division of D'Arcy Masius Benton & Bowles focusing on Fortune 500 clients, and as Director of Client Services at Netcentives. She served as a marketing executive in hospitality at Tahoe Mountain Resorts and Mount Washington Resort. Candra opened Live Bright Now, LLC in 2008, a consultancy designed to support organizational culture, leaders and teams. Candra’s approach to lifelong learning has taken her across the globe often in pursuit of athletic adventure. 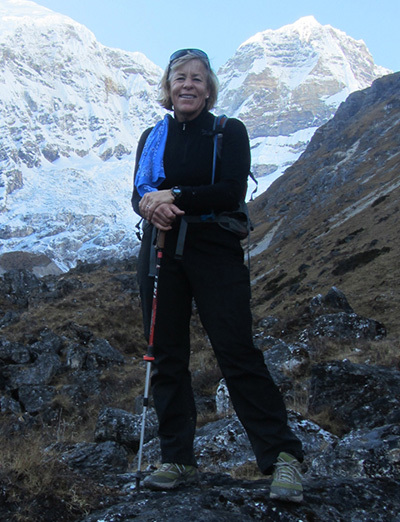 Her passion for Nepal and the Himalaya was developed in 1993 during a 5-week tour of the trekking peaks. Her love of the Nepali people and the magic of the high peaks led her to her role on the board of dZi Foundation.